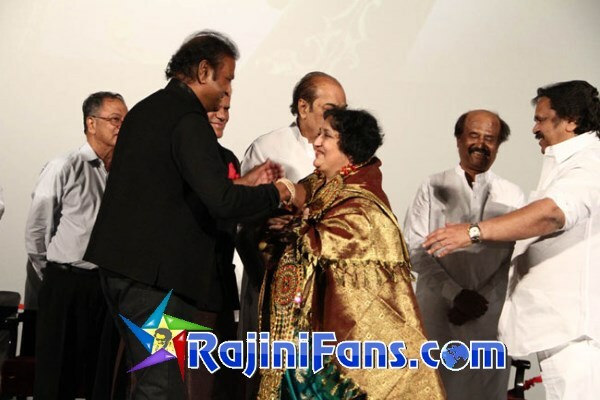 The curtain raiser and 3D trailer launch programme of Rajinikanth's 'Vikramasimha' was held in Hyderabad. The making video of the movie was screened after screening the 3D trailer. Soundarya Rajinikanth said " I think we explained about the making of the film in the video. We've brought the performance capture technology to India for the first time. It is only because of my father the people here can hear about it. I am overwhelmed to be here now. I thank everyone who've come over here". S.S.Rajamouli said " I am in a euphoria that I sat beside Rajinikanth. If I speak anything wrong, please forgive me. First of all I congratulate Soundarya Rajinikanth for her amazing efforts for this film. Rajinikanth is not only her father, but is the Godfather of many people in India. Performance capture is a very tough process. I've used motion capture for 'Eega', but it is for a very small portion compared to "Vikrama Simha". I took two years for it. But 'Vikramasimha' makers have made such a huge film with huge sets in just two years. I can't believe it. We should appreciate Soundarya for bringing this technology to India. This film will definitely become a big hit ". Mohan Babu said " We can write a book if I have to tell about my friend Rajinikanth. He should be proud of having a daughter like Soundarya. She has introduced a great technology to India and I can't believe her talent and determination. Rajinikanth and I are very good friend for over 30 years. He has two daughters and I thought of making them my daughter-in-laws. But it has not happened. I wish this film becomes a big hit and breaks all the previous records ". 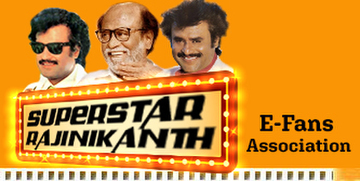 Rajinikanth said " This film is very different compared to my previous films. My 'Robo' is a science fiction film, Baba is a devotional film and Chandramukhi is a horror film. Of course a devotional film didn't run well and a ghost film like 'Chandramukhi' has done wonders. I didn't know that this film takes this much time because I don't show much interest in technology. Kamal Haasan is the biggest actor and he shows so much interest in technology because he entered the industry to become a director. He has to do a film like this but I've done it. It is all God's magic. My health was upset for a while and I was supposed to do the film titled 'Rana', which is like Rajamouli's 'Baahubali'. It is not as big as 'Baahubali' though. Then doctors advised me not to act in a film for at least two years. It was when, Soundarya narrated this story and explained about this technology. I doubted if it happens, because it thought it will take at least 10 years and it involves a huge budget. We are very happy that this movie has been completed in two years.My daughter has introduced a new technology to our industry and she has worked very hard.My wife encouraged me a lot. She has sung a song after a long time and even I crooned for a song. Even if we work hard for a movie, it would be wasted if the movie fails. I always watch a movie like how the audiences do. Watching the movie, I was upset for about first 10 minutes. Because it is very different from general movies and it didn't look real to me.I thought if the motion capture of a person like NTR is done, it would be nice. But being alive it seemed odd for me. But I've forget that it is an animation after going into the story. A.R.Rahman said a Hollywood film was made with the same technology and it took over six years. 'Vikramasimha' is a very beautiful philosophical emotional drama. I thank every technician, who has worked very hard for this movie. Telugu audiences have encouraged every effort of me and I hope this film also becomes a big hit here". Dasari Narayana Rao said " We've seen fathers directing sons till now. But for the first time I've seen a daughter directing her father. It is really a heart touching moment. I thought we are very backward compared to Hollywood. But after completing 100 years of cinema, we Indians especially the south Indians could reach the standards of Hollywood. There is nothing special in making a general film but Soundarya will be remembered forever as the one who introduced a great technology to India. I've watching Rajinikanth for years. He has not changed a bit. The only change I've observed is his fame is restricted to only Tamil then, but it is universal now. I know the troubles he faced and many have back stabbed him. But he has never tried to take revenge on them. He is a very kind hearted person. He had said that he will retire in 2009. But I think actors like Rajinikanth will not have a full stop to their career. If the present generation heroes takes him as inspiration, they will be successful. He gave back his remuneration to the distributors, when his 'Baba' film failed at the box office. It was never ever done before by anyone. Rajinikanth should be proud of his daughter. She has done an exceptional job. It is a great achievement that they have completed the movie in two years. I hope this film becomes a big hit ". Subramanyam of Lakshmi Ganapathi films has expressed his joy at bagging the rights of a big film like 'Vikramasimha' and thanked Latha Rajinikanth for believing in them. He said that it has been a dream for them to present a Rajinikanth's film and they are very happy that it has come true.